The last few months have seen an increasing focus on battery size, in a bid to answer the growing demand for devices that won’t shut down on you before you go to bed every night. Apart from many mid-range and high-end phones offering batteries with capacities in excess of 3000mAh, smartphones such as the Gionee Marathon M5 (Review | Pictures) and Lenovo Vibe P1 (Review | Pictures) have gone above and beyond the norms with 6020mAh and 4900mAh batteries respectively. Not one to miss out on the current trends, Asus has launched the ZenFone Max, a phone thatannounced in August last year. 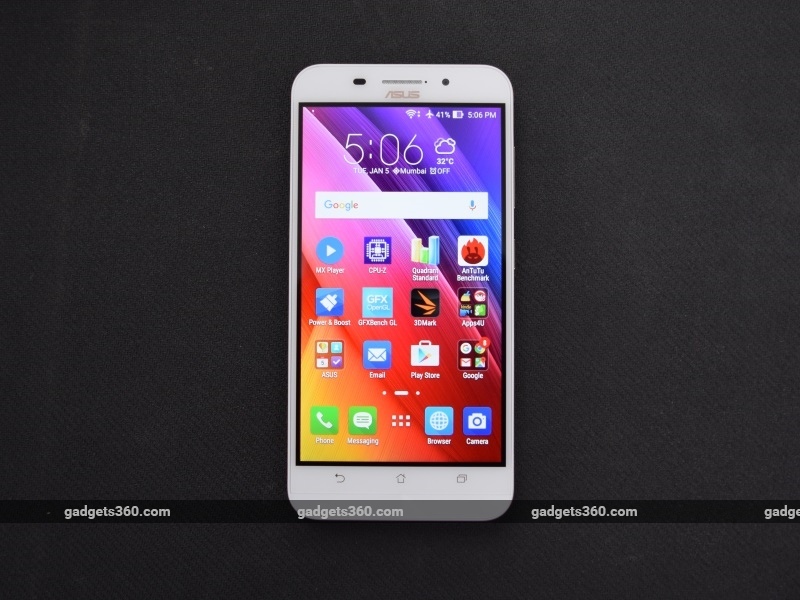 This lower mid-range smartphone costs Rs. 9,999 and is distinguishable by its large 5000mAh battery. It’s considerably cheaper than the Marathon M5 and Vibe P1, and has a specification sheet that is geared towards achieving maximum power efficiency. 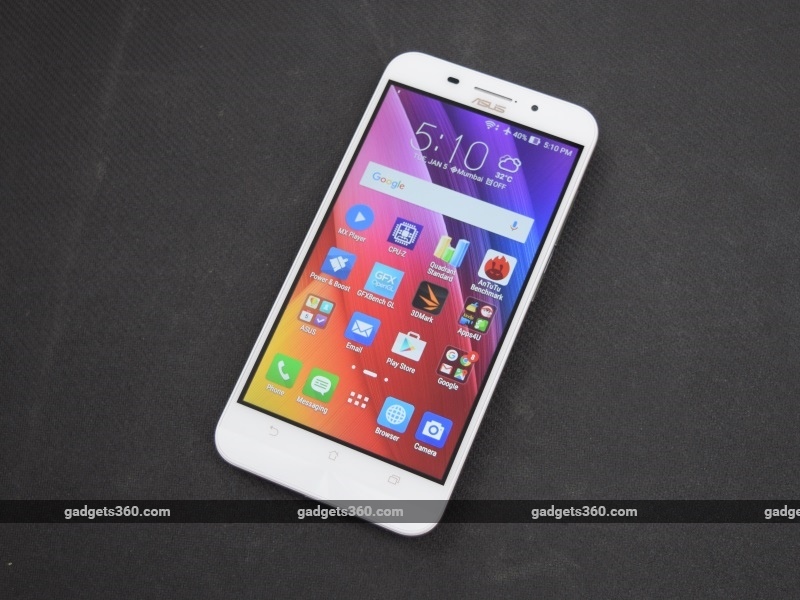 Is the ZenFone Max the energy efficient Android smartphone that you need? Let’s find out in our review. The ZenFone range from Asus is known for uniformity, and the ZenFone Max sticks to the aesthetic formula that makes every Asus smartphone instantly recognisable. From the distinct concentric circles design on the chin to the off-screen capacitive soft keys, the Max sticks to the brief and does practically nothing to stand out. This isn’t necessarily a bad thing, since it makes it harder to tell the difference between a premium Asus device and a budget one such as this. The ZenFone Max is available in two colour variants: black and white. The white variant has a dull, smooth finish at the back, while the black variant has a leather-like texture. The phone has a rounded gold plastic strip running along the sides, with a slight rounding off on the back panel which helps with grip and feel. The 3.5mm socket and Micro-USB port are at the top and bottom respectively, while the notification light is at the front, just next to the earpiece. Many other Asus products including the identically priced ZenFone 2 Laser (Review | Pictures) have the power and volume keys at the top and back. This strategy was a bit of a hit-or-miss, and users either loved it or hated it. With the ZenFone Max, Asus has adopted a safer approach and gone with traditional button placement on the right edge of the phone. The back panel is removable, and the SIM and microSD slots sit under that. In another departure from typical Asus design, the battery is not user-replaceable, although it is visible under the hood. Due to the shifting of the volume keys, the back is now plain looking, with the speaker grille at the bottom and the flash, camera and laser autofocus window at the top. The Asus and ZenFone logos are printed on the back for the white variant, while the black variant has the Asus logo embossed. We prefer the look of the black variant, because of its texturing. 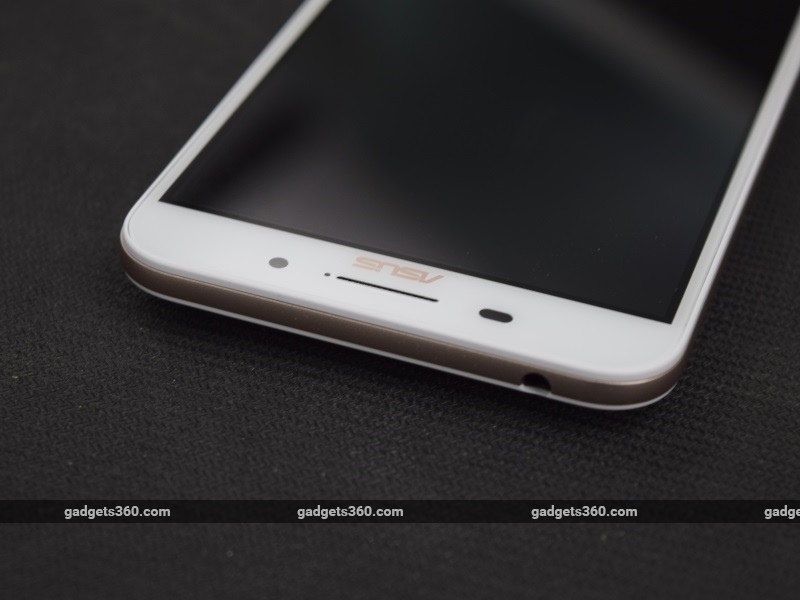 The screen of the Asus ZenFone Max is a 5.5-inch 720×1280 pixel affair. 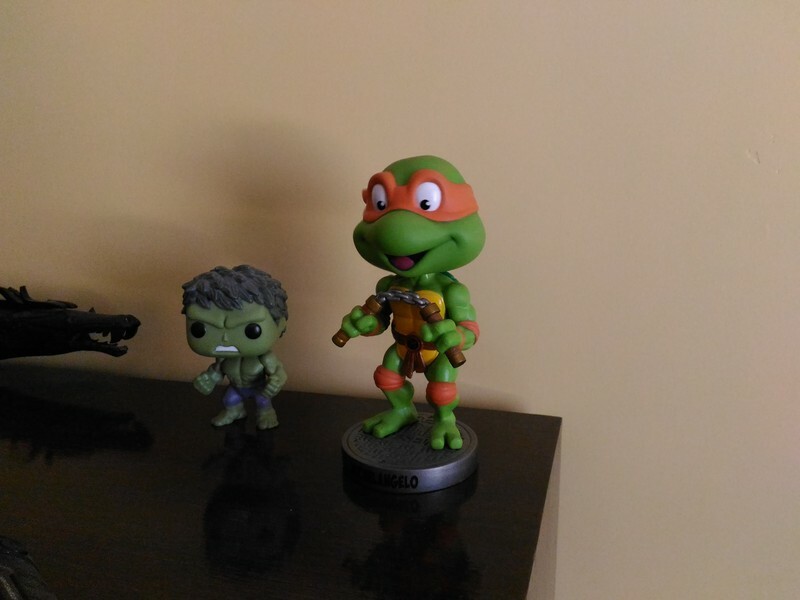 Although the screen itself is decent in terms of brightness and colours, at this size the lack of detail and sharpness is visible because of the lower pixel density. This has presumably been done to keep the costs down and ensure energy efficiency, since it takes considerably less power to run a 720p screen than a more detailed 1080p one. For basic users who are more concerned with battery life, the screen should prove to be more than adequate. Also included with the Asus ZenFone Max is a 1A/5V charger that is horribly inadequate for a phone with a battery of this size. The phone takes over five hours to completely charge up from zero to 100 percent, and supplying a fast charger or incorporating some form of fast charging technology with high-capacity phones such as this is absolutely necessary in our opinion. We’d recommend that you buy a reliable high-speed charger if you choose to buy the ZenFone Max. On paper, the Asus ZenFone Max is identical to the cheaper ZenFone 2 Laser (ZE550KL) variant, with the notable exception of the larger battery. This includes the Qualcomm Snapdragon 410 SoC, 2GB RAM, 16GB internal storage and dual-SIM connectivity. The primary SIM slot supports 4G connectivity (Indian bands supported), while the secondary slot is limited to 3G connectivity. The expandable storage slot supports microSD cards up to 64GB, and the phone also supports USB OTG. Although the ZenFone 2 Laser and ZenFone Max are practically the same size and thickness, the latter is much heavier at 202g. As mentioned, the only major difference between the two is the larger battery, which is the signature feature of the ZenFone Max. The 5000mAh battery on the Max is a massive improvement over the 3000mAh unit on the ZenFone 2 Laser, and coupled with the efficient Snapdragon 410 SoC and HD screen, promises excellent battery life. 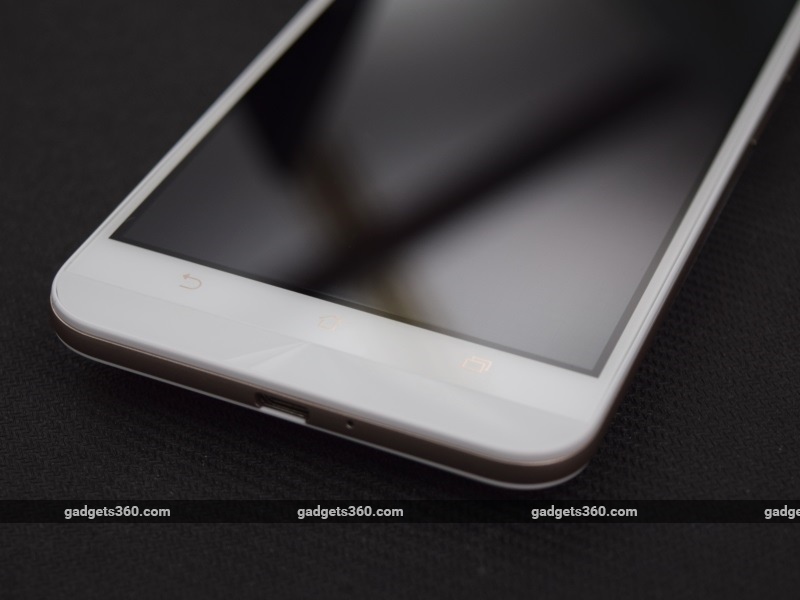 The Asus ZenFone Max runs Android Lollipop 5.0, with the company’s faithful ZenUI skin on top. We’ve stated before that this is one of the better Android user interfaces in terms of customisability and controls, and its remains so with the ZenFone Max. There are lots of ways to set the phone up to your liking, from motion gestures to quickly wake the phone or launch apps, to various power management and UI display settings. Unfortunately, the interface is still full of Asus apps and other bloatware, which makes the phone feel excessively loaded and bloated. As a result, about 50 apps needed to be updated on start up, and the interface splits even basic phone functionality into various apps that can be updated separately rather than keep them tied to the interface. Functions such as the dialer, camera, contact list and gallery all have separate apps with their own update schedules This means that the software and its apps will need updating far more often, but is lighter on the system and allows for better efficiency. From a user’s point of view, apart from a bit of work at the start and regular updating of apps, the software is capable and efficient enough. The similarities between the Asus ZenFone 2 Laser and ZenFone Max don’t stop at the specification sheet; the Max uses the same 13-megapixel camera and laser autofocus system as the ZenFone 2 Laser. The 5-megapixel front camera is also the same, and both cameras are capable of recording 1080p video. The rear camera has a dual-tone LED flash as well. This essentially makes the ZenFone Max a ZenFone 2 Laser with a larger battery, and considering both phones cost the same, it makes the older variant redundant at this point. This might point to why Asus has chosen to launch this device only now, despite announcing it back in August 2015. The camera app, too, remains unchanged from what we’ve gotten used to seeing on Asus devices. There are plenty of camera modes and manual settings for both stills and video, and effects such as slow motion, HDR, time lapse, panorama and beautification continue to offer plenty of great options for camera lovers. It might be a bit too complicated for some, but auto mode simplifies everything to reasonable levels. Additionally, video recording, flash toggle, and camera switching are easily accessible from the default screen. (Tap to see full-size image)The camera itself is, as expected, identical in performance to the Asus ZenFone 2 Laser. Pictures are decent in indoor settings, be it well-lit or dark, and outdoor shots tend to be washed out with regard to brighter areas. Heavily sunlit areas often appear completely white, but the rest of the colour spectrum is accurate and clear, with pictures being sharp, detailed and dramatic when properly composed. The laser autofocus system continues to work wonders when shooting close-ups and indoor shots, quickly and accurately focusing on the subject matter. Within a closed environment, pictures are incredibly detailed, and the camera quickly adjusts to slight movements and shakes. 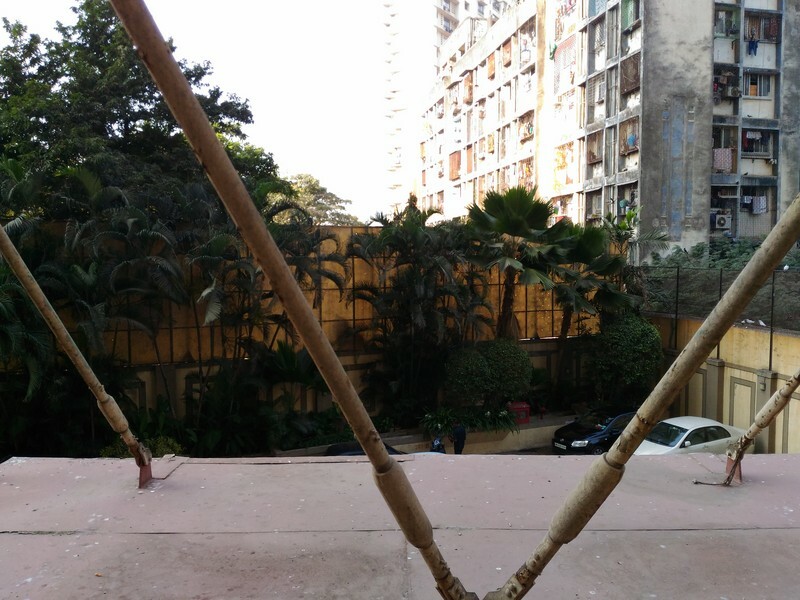 Taking the camera outside renders the laser autofocus somewhat ineffective, but as with the ZenFone 2 Laser, the Max reverts to contrast detection methods to focus. The front camera is satisfactory for most basic requirements as well. On the whole, it remains a competent camera indoors with slight weaknesses when shooting outdoors. Even though the Asus ZenFone Max has a budget SoC and basic specifications that are aimed at achieving energy efficiency, it’s still a decent performer, especially for the price. Games such as Dead Trigger 2 and Real Racing 3 ran smoothly, and typical battery drain and heating were lower than usual as well. Our test videos ran smoothly as well, and the interface is acceptably decent to use. Swiping between screens and settings, as well as opening apps are all done satisfactorily. 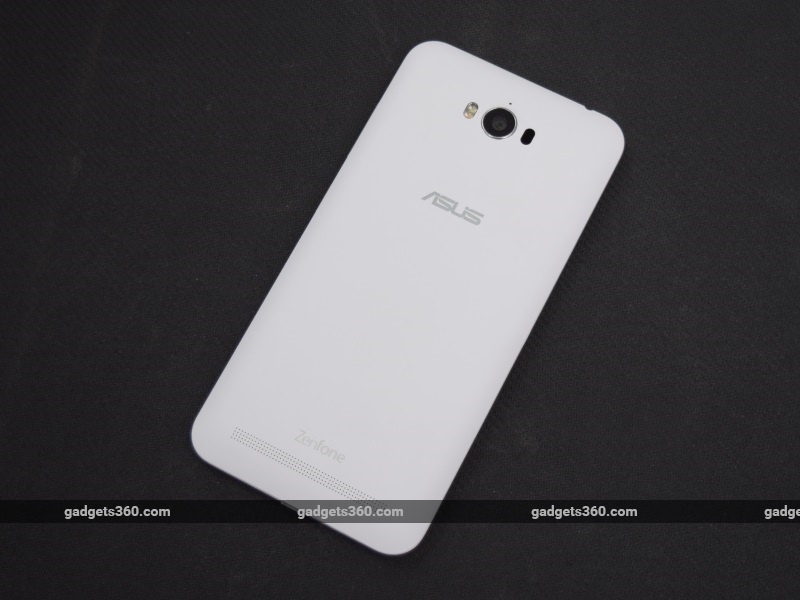 Benchmark figures are nearly identical to the numbers we saw on the Asus ZenFone 2 Laser as well. The ZenFone Max produced scores of 24,683 and 14,494 in AnTuTu and Quadrant respectively, along with 9.3fps and 5264 in GFXBench and 3DMark Ice Storm. 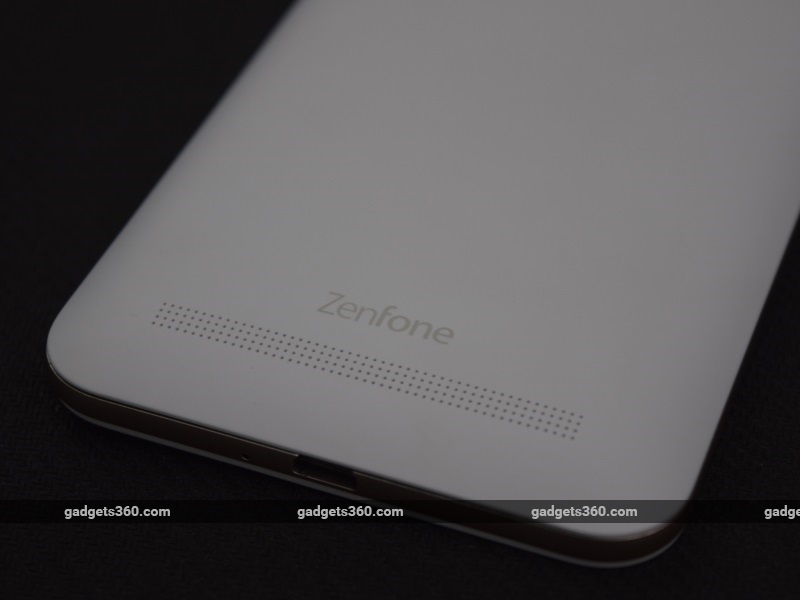 As we’ve already mentioned in this review, the ZenFone Max is essentially a ZenFone 2 Laser with a larger battery. The phone’s basic functionality is simple and effective, with decent call quality, ability to hold a signal and audio quality from its single speaker and through headphones. Finally, touching on the key feature of the Asus ZenFone Max, the phone ran for nearly 25 hours in our video loop test, falling slightly short of the current record holder, the Gionee Marathon M5. This is despite the fact that the 5000mAh battery on the ZenFone Max is significantly less that the combined 6020mAh capacity of the Gionee’s two batteries. This is thanks to the efficiency of the Snapdragon 410 SoC and the general tuning of the phone, which has been geared towards achieving as much usage time on a full charge as possible. In ordinary use, the phone is capable of running for three to four days on a full charge. With more and more users getting concerned with deteriorating battery life on their smartphones, the idea of the big battery smartphone has gained popularity. Recent efforts from Gionee and Lenovo have proven to be capable, but Asus has the distinction of being the first manufacturer to offer a decent super-battery smartphone at under Rs. 10,000. The ZenFone Max is designed around optimizing energy usage, and apart from being significantly heavier, sticks to the ZenFone aesthetic in all other ways. This is a phone that offers a decent design, acceptable performance for the price, a decent primary camera and absolutely stellar battery life at a competitive price point. The only significant weakness is the fact that the supplied charger is weak and slow to charge the phone. But if you’re on a budget and need a smartphone that you can count on to power you through your day, look no further. 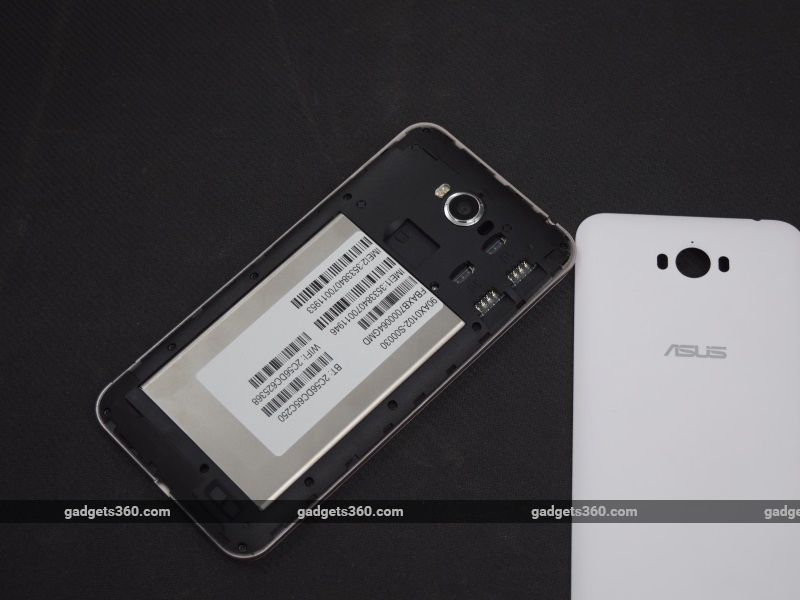 The Asus ZenFone Max is your answer to battery issues.